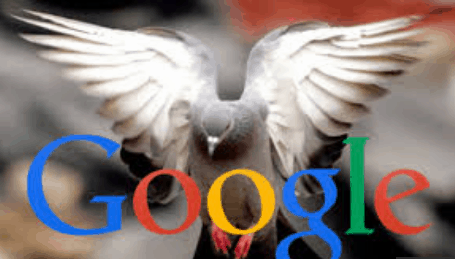 Google has launched a new local search algorithm update called ‘Pigeon’, which is a basic change to the local search ranking algorithm and is not designed for web spam. The update aims at providing a more useful, relevant and accurate local search results. It is not a penalty-based update like Penguin and Panda updates that aimed at cleaning the SERPs from low-quality content. It is basically a core change to the local search ranking algorithm. Google confirmed that the update started to roll out on July 24 for US English results, and it’s not yet known when the update would roll out more widely in other countries and languages. The changes were rolled out to Google web and Google map search results. Google has not stated the percentage of queries that impacted on this update.